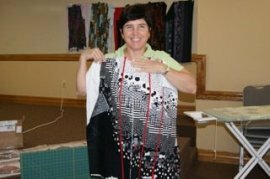 In this class students will create their own unique bargello jacket using 12 different fabrics. 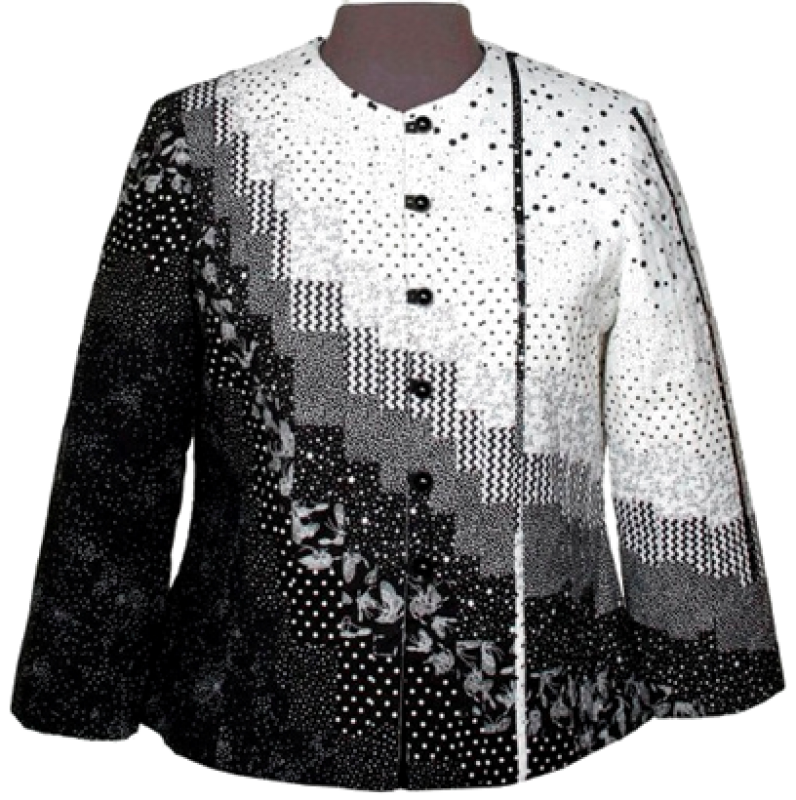 We will learn the basic techniques for creating a unique jacket design. Jackets are designed to use fabrics from dark to light. Students will be encouraged to create their own designs. Pre-requisite: the jacket fitting class is recommended. OR Student may use their own jacket pattern suitable for quiltwear. If uncertain of fit, do a muslin sample before class. Note: guilds may offer this as a combination class with the short version fitting class. Yardage: Choose 12 fabrics, progressing from light to dark.